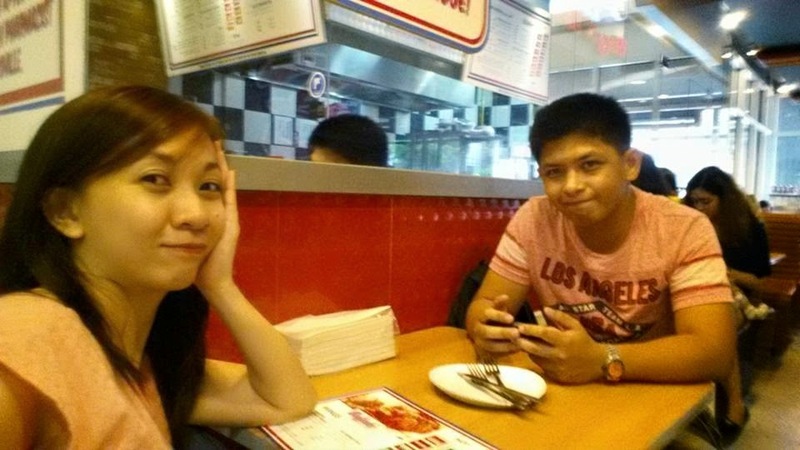 Anyway, after the 4 hour spa experience, we were so tired and hungry that we decided to eat at any resto on SM North. It's been a while since we visited the mall. We don't normally visit Manila, that's why. I am originally looking for Bigoli at SM Annex but I think it closed down already so we ended up going inside Buffalo's Wings and Things. I feel like eating wings that time and something spicy so we both agreed to try it out for curiosity. Since we didn't had lunch and it was already around 2 pm that time, I want to choose the burger but my belly wants some rice. I got 1/2 pound of the Champion Buffalo Wings in New York's finest. It was just the mid level of spiciness and Jaycee got a Single No Bones Fun Armageddon. We both had New York dirty rice and 2 Downtown Iced Tea. 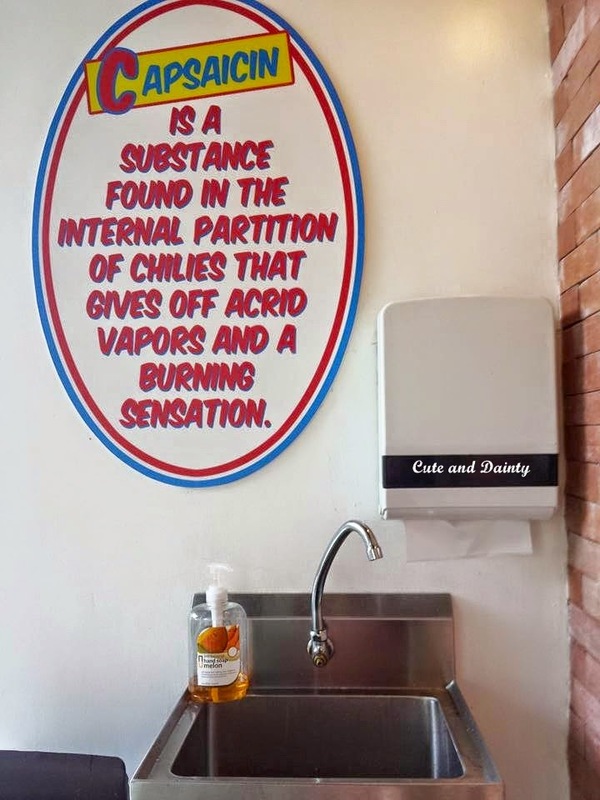 While waiting for the food to be served, I notice that there are some explanation hanging around the place on how we feel the flavor while we eat. I think this serves as a reminder to everyone that whatever we taste and feel was just all in our head. The place was a typical New York style diner that there are those counter available and there are also separate tables and chairs as well. Orders arrived and their concept of placing the rice in a styro cup is great but it takes too much space since they also gave us some paper plates if we wish to transfer the rice. Let's save Mother Earth please. Will recommend? Still undecided. Guess if I tried more of their food though, I can decide with conviction. For now, everything was just so-so. The food looks delicious. 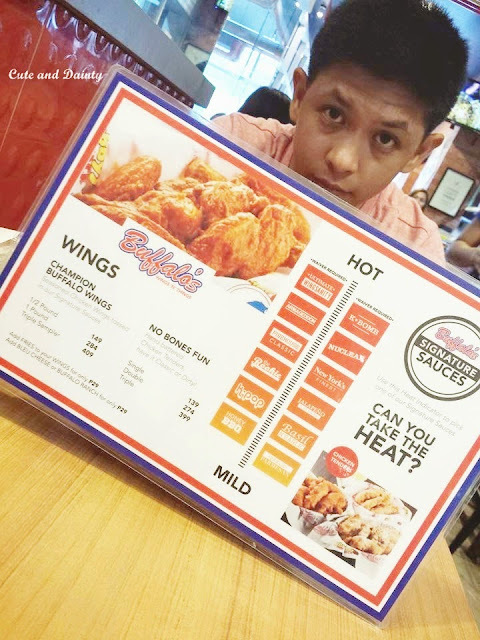 I love Buffalo Wings and I'm craving for some right now. I really didn't enjoyed on our stay here as much as I would want to because the spiciness was extremely painful. I want to make buffalo wings. 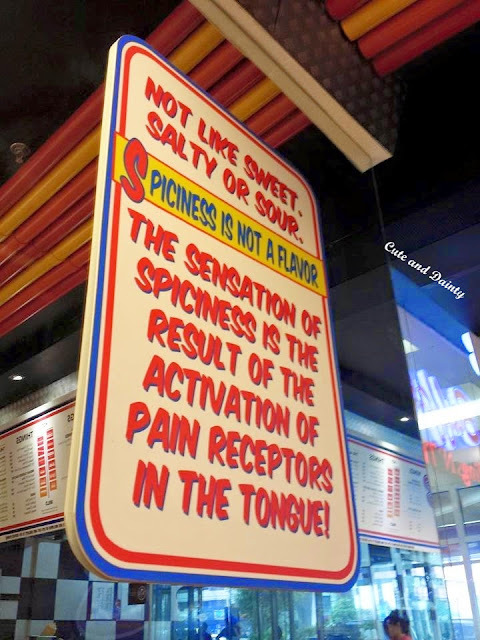 But most at the house are not into spicy, hindi ko tuloy magawa. hehehe. Oh my. I have a low tolerance for spicy food. 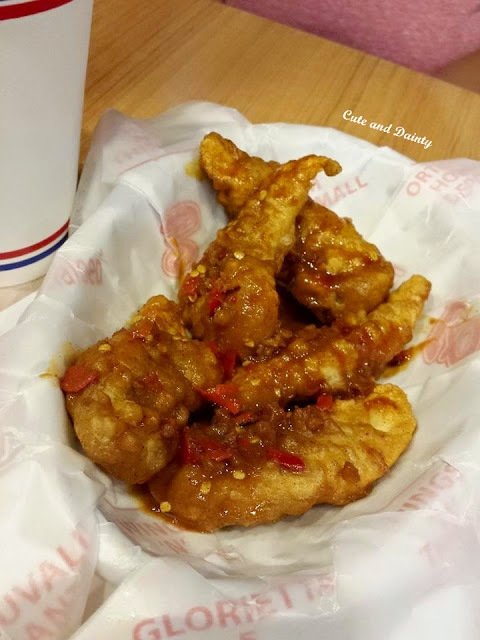 Can I order the buffalo wings without the chili? hehe I guess not. Yep, there's an option but pick those in the lower portion for less spiciness. Never tried spicy fried wings too. :) I.guess I need a pitcher of water beside me when I plan to eat something like this..
Never tried eating there but from the photo, the food looks yummy. 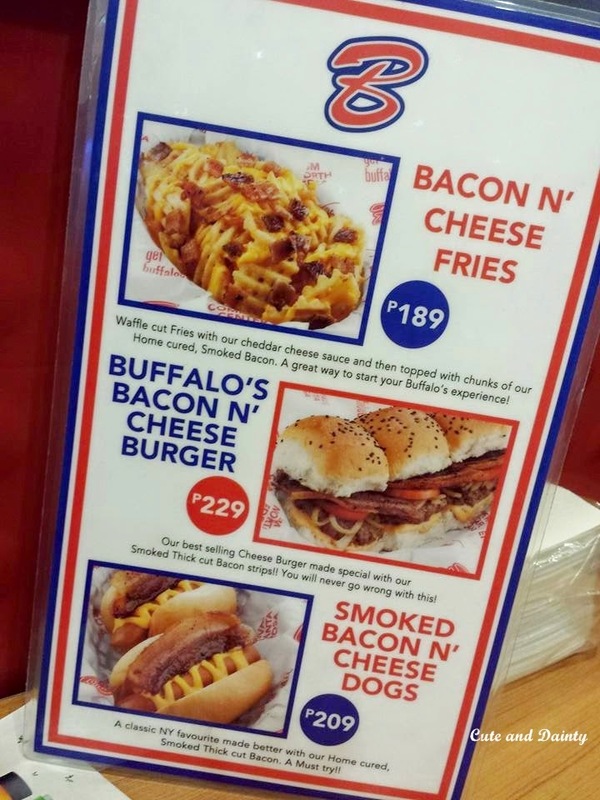 And affordable din sya so it's a must try. 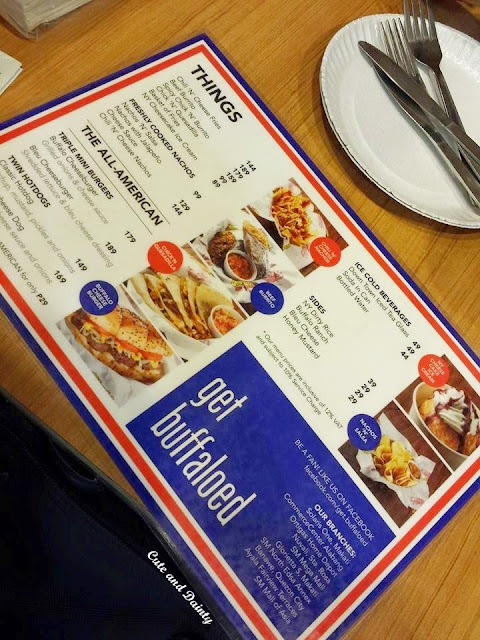 Yep, it's affords naman but the food we ordered is not to my liking. Perhaps I should try the other dishes in the menu. Ahmm. why they still use styro on food products? I mean, the food is great but the way they serve it is not that nice. I'm not really sure where did the inspiration for the name came from. I love buffalo wings! Craving for it right now! Look so good! missed eating buffalo chicken wings tuloy. I craving is kicking in, yum! 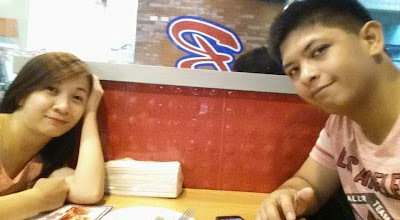 nagutom tuloy ako. True! Hopefully, Ace Water Spa would change their rules. I love the Wings at Buffalo Wings andthings. 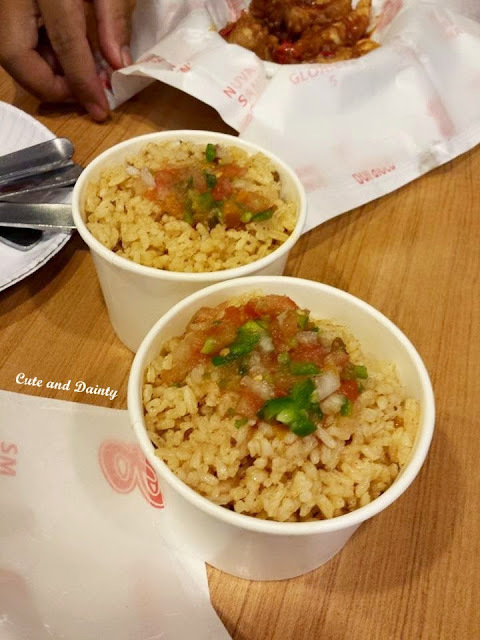 It goes so well with their dirty rice. 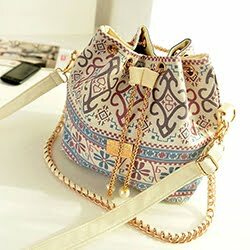 What dish can you recommend? 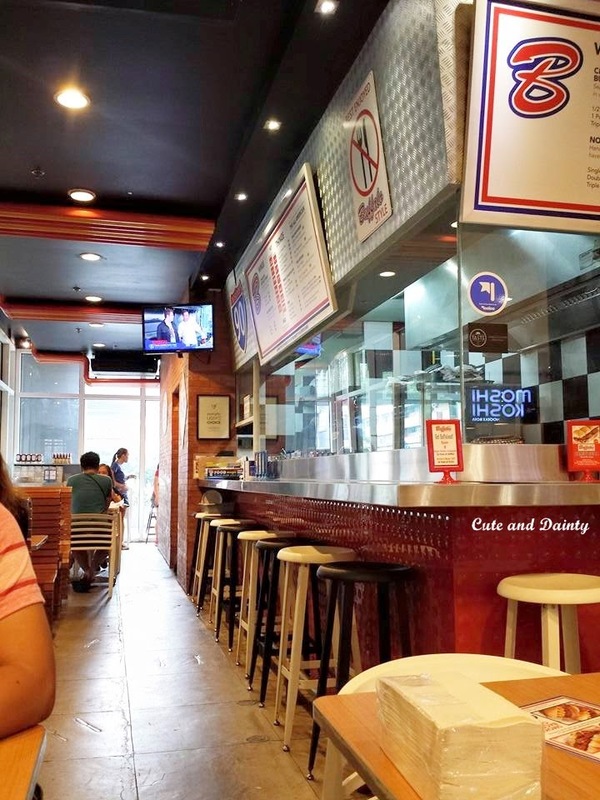 We've been to Buffalo Wings N Things at its old location in Greenhills a few times and quite liked it. I don't think we had anything but the Wings. My husband couldn't do the Spiciest blend though, while I had the mildest because I'm not really one who likes spicy food hehe. Sounds really spicy! Don't think I will give that a try. 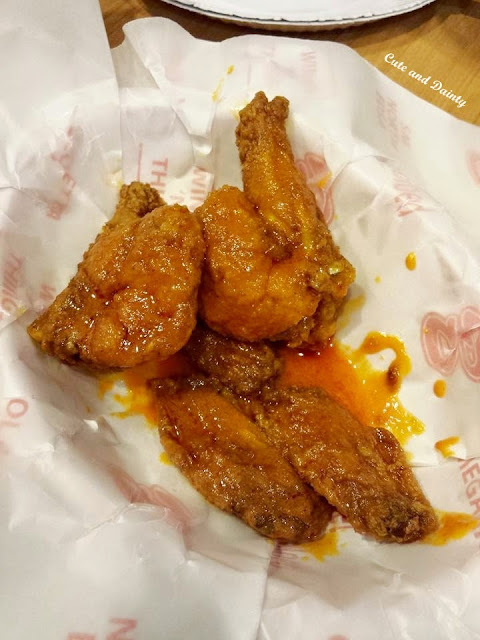 One of the best wings I've tasted before those korean wings arrived. Buffalo wings have a certain kick. 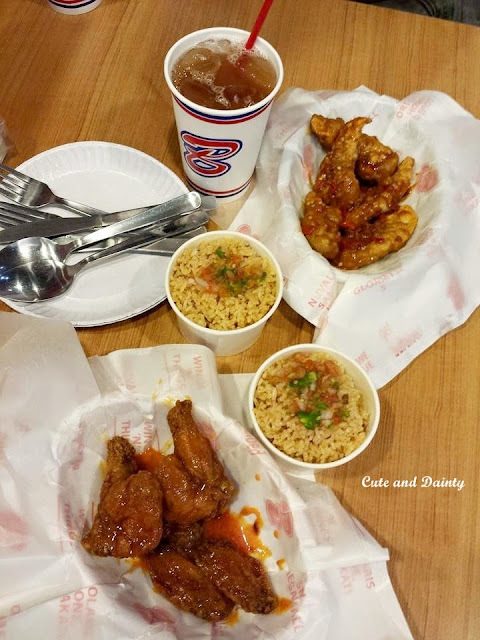 What resto caters the best buffalo wings for you?